Critically acclaimed Lighting Designer Nate Wheatley has collaborated with some of America's most sought after directors including Kristine McIntyre, Matthew Ozawa, Chas Rader-Shieber, Octavio Cardenas, Dugg McDonough, Fenlon Lamb, Keturah Stickann, Dean Anthony, Jeffrey Buchman, Eric Gibson, Matthew Haney, and A. Scott Parry. 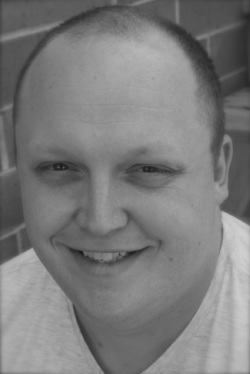 Mr. Wheatley has enjoyed repeat engagements with companies such as the Des Moines Metro Opera, Lyric Opera of Kansas City, Opera Steamboat, Kansas University Opera, Louisiana State University Opera, Baylor Opera, and the Sugar Creek Symphony & Song. Of his production of a Little Night Music with stage director Matthew Ozawa and Scenic Designer Isaac Mizrahi for the Des Moines Metro Opera, Opera Today noted "Nate Wheatley's magical, sensitive lighting design captured all the intrigue and mystique of a midsummer night when the sun never quite sets." Of his production of Maria de Buenos Aires with stage director Octavio Cardenas, Opera Today expressed "Nate Wheatley has contributed an inventive lighting design that beautifully serves the dramatic, brooding text and music." And of his production of Gluck's Orphee with stage director Chas Rader-Schieber, Opera Today states "all of this stage magic was flawlessly enhanced by Nate Wheatley's superb lighting design." All content is copyright of Nate Wheatley unless otherwise noted. No images, graphics, or content are to be used without express permission.